Public health is distinct from health care in that public health focuses on the prevention of disease within populations, while health care focuses on the treatment of disease in individuals. The first poison control center in the nation was started in Illinois in 1953. Its main purpose was to provide information to assist in the delivery of healthcare to poisoned patients. Ever since then, providing expert treatment recommendations and advice has been at the heart of poison center service for almost 60 years. Using the definition that health care is the treatment of disease (or injury) in individuals, after reflecting on their experience with the Illinois Poison Center (IPC), most people would say that main poison center function is to provide information that facilitates health care. Poison centers reduce the injury and harm due to poisoning in the individual. This can be evidenced that poison centers reduce the time patients stay in a hospital by a day or more when they are admitted for severe poisoning – which saves millions of dollars each year. Whether it is a friend, parent, doctor or nurse that contacts the IPC emergency hotline, that call is of singular importance to the caller; however, when the data from the calls are entered in the National Poison Data System (NPDS), in aggregate, they create a statewide and national acute poisoning database that is unlike any other. This database allows for the real-time recognition of new outbreaks and provides a monitoring system to track and follow ongoing public health threats. Actions can be taken that then can prevent and reduce disease in a population; clearly this is a public health function when using the above definitions. An example of surveillance includes the emergence of synthetic drugs that mimic marijuana or the stimulants cocaine, methamphetamine or ecstasy. 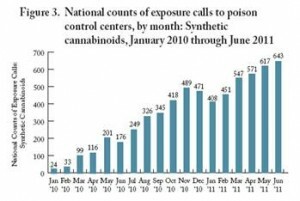 In both cases, it was poison center alerts that raised awareness of the danger to our communities and it was poison center data that was used to show the rapid increase in harm, which in turn led to the legislative ban of some of these products. Data such as this was used to create the emergency DEA ban on some of the products found in synthetic marijuana products and “bath salts”. While bans do not stop abuse, they make access to the drugs more difficult and can decrease the number of people using these drugs within a population. Database technology has rapidly expanded the mission of poison centers. We are still the place to call for intentional and unintentional exposures to medications, drugs, chemicals, bites, stings and any other potentially hazardous substance. I live that part of our mission every day and my work e-mail tag line is “Pick your poison. Then call the experts who can help you with any of them”. We are however, the place to also come for information and data that can increase awareness of public health threats; which in turn can lead to actions that can reduce the harm from poisoning in our communities. If anyone can come up with a snappy tag line for our growing public health function, please post it in the comment section below. I would love the read it! 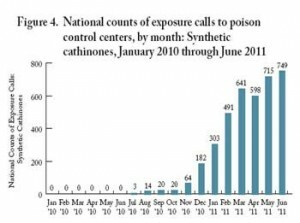 The State of Poison Centers: Is it the End or the Beginning?